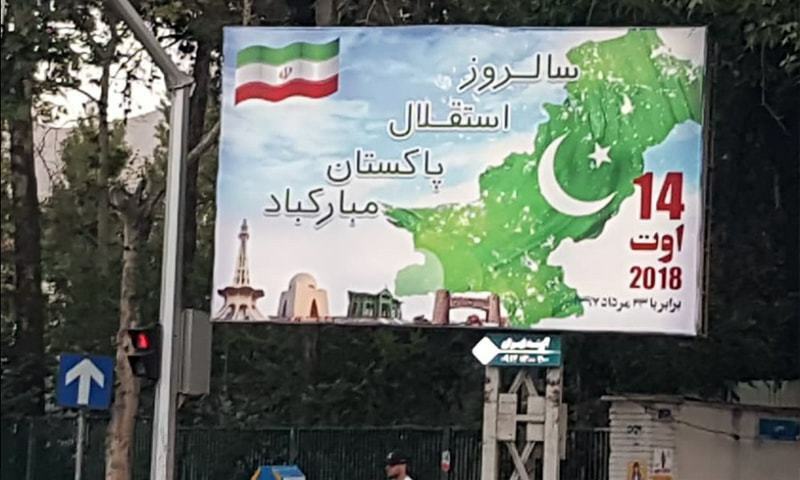 Billboards and banners felicitating Pakistan on its 72nd independence day have been put up across Tehran, the capital of Iran, Radio Pakistan reported on Tuesday. 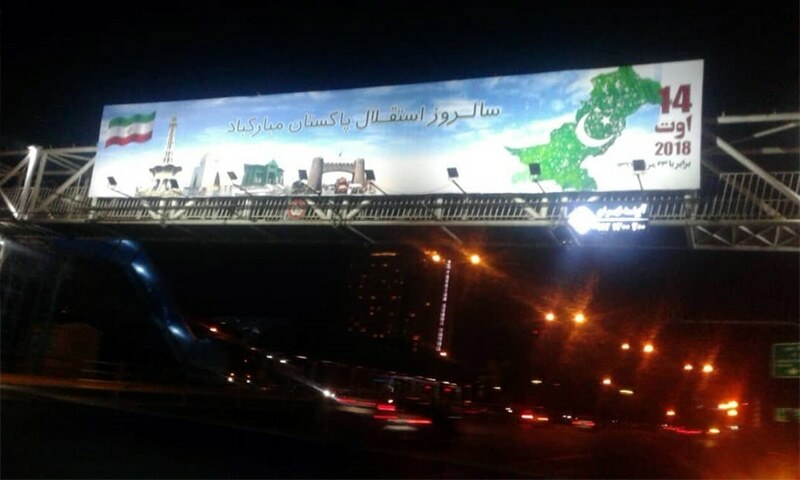 The text in Persian on the billboards, photos of which are available with Dawn.com, congratulates Pakistan on its independence anniversary and depict historical landmarks from the four provinces. The hoardings have been put on highways and bridges across the Iranian city. According to Radio Pakistan, Iran's supreme leader Ayatollah Ali Khamenei has also felicitated the Pakistani nation on the occasion. 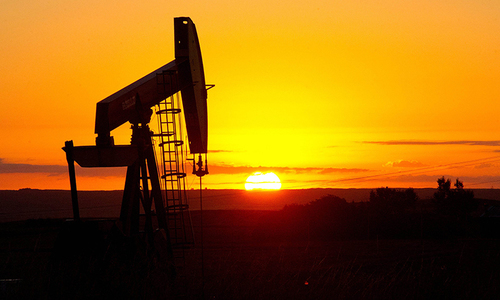 Pakistan's relations with Iran appear to be on an upward trajectory. In a call to prime minister-in-waiting Imran Khan, Iran's President Hassan Rouhani had said that his country's relations with Pakistan are not only that of a neighbour but go deeper as the two countries share the same religious and cultural values. 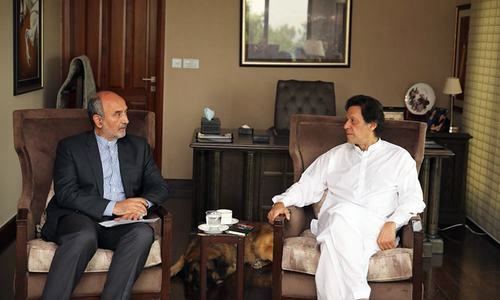 "We want to develop special trade relations with Iran," Khan had told Rouhani in response, adding that Pakistan wishes to see further improvement in relations on the diplomatic level. Last month, the two countries pledged to further deepen their military cooperation. 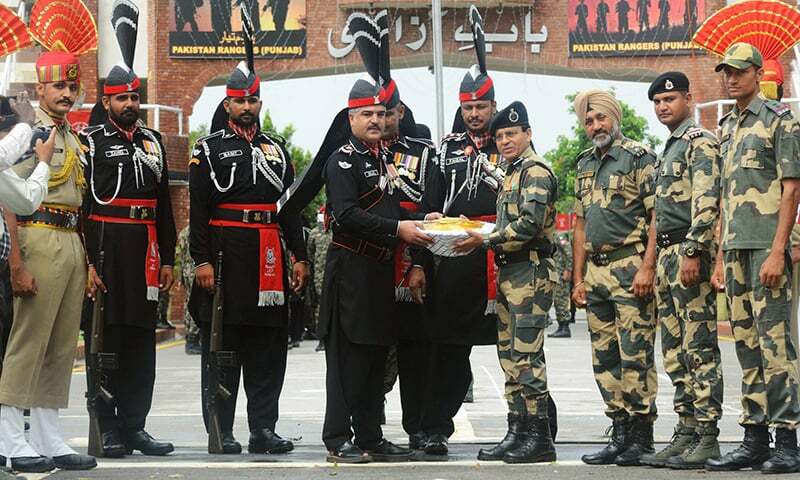 At Wagah border, Pakistan Rangers officials presented sweets to their counterparts from India's Border Security Force during a ceremony to celebrate Pakistan's independence day. On the western front, Afghan security officials congratulated their Pakistani counterparts. 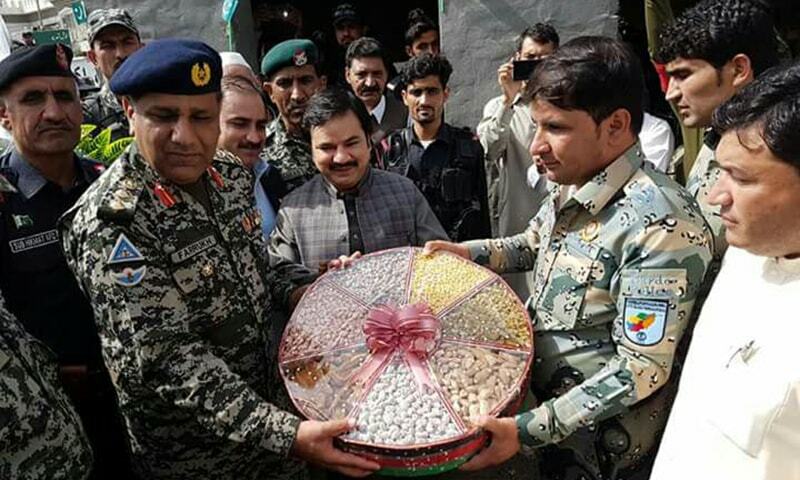 They also presented sweets to Commandant Khyber Rifles Farrukh Humayun. The United States government has extended best wishes to the Pakistani people on the independence day, besides expressing the desire to work with the Government of Pakistan to advance the shared goals. "On behalf of the Government of the United States of America, I would like to extend my best wishes to the people of Pakistan as they celebrate their independence day," a statement released by the US embassy in Islamabad quoted US Secretary of State Mike Pompeo as saying. He said the relationship between the US and Pakistan has rested on the strong foundation of close ties between their peoples for more than seven decades. "In the years ahead, we hope to further strengthen these bonds, as we continue to look for opportunities to work with the people and Government of Pakistan to advance our shared goals of security, stability, and prosperity in South Asia," Pompeo added. The British and German ambassadors to Pakistan released video statements on Twitter to felicitate Pakistan on its independence anniversary. "I want to see Pakistan happy, strong and developed in the future," said German envoy Martin Kobler speaking in Urdu. Thomas Drew, the British high commissioner to Pakistan, said he has been coming to Pakistan for past 12 years and has lived here for five years. "I am certain Pakistan's future is very bright and the British government and people will fully support you in making it even better," said Drew, also speaking in Urdu. Brilliant by Iran. Kashmir included here. Pakistan Zindabad! Persia is the pride of our heart, land of sacred Imams and land of Cyrus the Great. Great. Kashmir is Pakistan as shown by Iran. Happy Independence Day people! Long live Pakistan - Iran friendship. Excellent developments! Finally we are ridding our foreign policy of American and Saudi influence. Beginning of a new friendship for mutual friendship. Great start. No doubt, Islamic Republic of Iran is a top trusted friend and brotherly ally of the Islamic Republic of Pakistan since day one. Just for the sake of records and history books, it was Iran who in 1948, presented and recommend the name of it's newly created Eastern border neighbor before the United Nations as a new member. Rest as they say is history. Pakistan should be closer to Iran.Time is ripe for an alliance between Pakistan, Iran, Iraq, Syria and Turkey to safeguard the Muslim land from the Zionist and the crusaders. Also the Alliance shoud bring benefit to the people living in these countries mentioned and the neighboring countries. Thanks Iran. I really wish that Pakistan and Iran work together closely as both of the countries have one of the best educated youth in the region and both are confronted with more and less same nature of problems. Great to see Iran and Pakistan coming together. I sincerely hope Iran and Saudia make peace, and not play into the hands of our enemies. That's very commendable. I think we should reciprocate in the same spirit. Bravo Pakistan and THANK YOU Iran!!! Very first time, this gesture may improve good ties between two countries. Thanks Iran..
Great gesture, should be reciprocated by the government and the people with gratitude and better relations. Thank you for your good wishes. May we brother countries prosper together against the tyrant regimes of the world and stand united in times of each others' needs. Ameen. Definitely not Iran, it’s Saudia only “playing into the hands of our enemies”, rather openly collaborating with the enemy. @Dahar History tells us that Iran was the very first country to recognize Pakistan as an independent state in the year 1947. Its great to see that with new government coming in, not only there is optimism in Pakistan but global community is also extending a new hand to Pakistan. It is time for us to come our of our cornered status in the last few years and obtain a better place in global community. Thank you my Iranian brothers and sisters from the bottom of my heart..! Is it time to revive old concept of RCD, this time for real? Good gesture should be reciprocated by linking up of Pak Iran gas pipeline. High time to revive the RCD!! RCD among Pakistan, Iran and Turkey. A friendly gesture from our neighbour Iran showing a willingness to be close friends. I am sure, this will strengthen our brotherly relationship for the sovereignty and prosperity of our respective countries. Both the Governments of Iran and Pakistan should cement their bilateral ties and boost cooperation in commercial, trade and economic development and work jointly for bringing peace and stability in the region. Great news. I hope Muslims can unite and stop fighting each other which only advances the agenda of our common enemies and blood of our nations is spilled without any reason all over without discrimination. Children, women and elderly suffer alike. Millions have been made homeless and refugees. Let sanity prevail. Live and let live. Thank you Iran for your wishes. Thank you Iran for your wishes. We will inshallah foster our relations to a new heights. This year independence day is very special for a simple reason, we got independence from corrupt leaders for the first time. A ray of hope running through the people of Pakistan. With such high expectations, don't let your nation down IK. The nation is counting on your promises and if you fail to deliver than the nation has no hope. Great news coming from the world good luck to IK in putting right the country. Kashmir is shown as part of Pakistan... but only on paper, reality is different. Change in relations with the neighbouring countries is being on the card with the opening of the 15th Pakistan National Assembly. Thank you Iran. We love you too. @Gilgiti Power Iran always supported UN Kashmir Plebiscite and are strong believers of Kashmir should be with Pakistan. Ahmed Nidajad openly use to say so in interviews. @FIDA SAYANI Pakistan, Iran, Afghanistan and Turkey. That's a good strong block in all spheres. All are culturally, religiously , ethnically and historically, connected. Not yet PM and respect flowing in from around the world.They are just happy to deal with an honest and genuinely sincere leader. Thank you respected Ambassador of Federal Republic of Germany Mr. Martin Kobler for expressing your congratulations and good wishes in Urdu. You spoke perfectly. Thank you Sir. You won my heart. "Danke Schön und alles Gute"!! "Kashmir included in the map"
Thank you Iran. Long live Pakistan Iran friendship. Great gesture by Iran We need to reciprocate, and try to build up a regional partnership so no one is bullied by USA. Whether people like IK or not. Fact is he is a global icon and the world respects that. Sharif brothers have ZERO standing in the world. They are below average Pakistanis who were created by Zia. Great to see. Iran and Pakistan zindabad! Pakistan Zindabad, Iran Zindabad, our friendship Zindabad. A true friend indeed. Bravo Iran and Iranian people. A great big thank you for this brotherly jesture. We should note all these good gestures by other countries as they define who our real friends are, and try to maintain best relations with them. Thank you Iran and the rest for the wishes. Pakistan and Iran have a lot to celebrate if they connect with each other like this. This will be so so good for our region. Pakistan needs to develop strong relations with Afghanistan, Iran, China, Russia, Turkey in the face of American bullying. Pakistan also needs to extend a hand of friendship to India to improve relations, however we all know this is unlikely to improve as Kashmir is the major issue which India will not discuss. 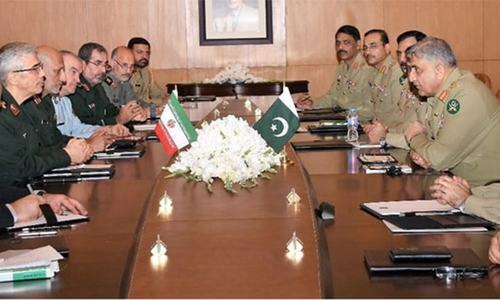 Pakistan’s security demand a strong relation with Iran. Khan keeps winning!! Pakistan and PM Khan Zindabad! A great show.really thankful to u Iran. Only unity in this part of the world can save these countries. I can smell something positive. Thank you brother and Sisters of Iran. 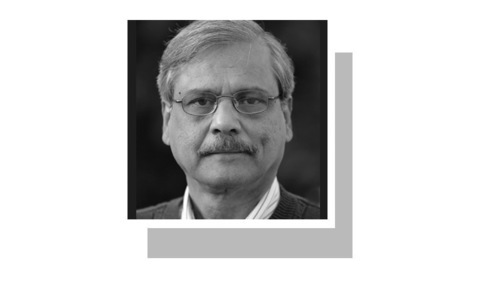 We love Iran, but bitter reality is whenever they feel pressure or threatened by western, they become amicable and polite towards Pakistan but when they're in a comfortable zone or thought they're dominating in the region they exhibit aggressive and hostile attitude towards Pakistan. Pakistan and Iran are two brotherly countries sharing common border, religion, culture and history. 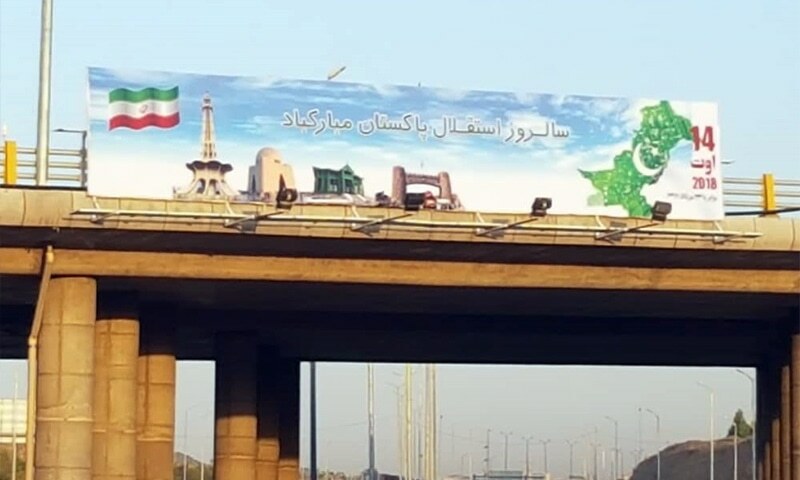 We thank the people of Iran for the billboards celebrating Pakistan's Independence Day. Pakistan and Iran zindabad. Thank You brothers! Pakistan Iran friendship zindabad. What brought that about ? They have never done it in 70 years ! It is great to know that Iran, which stood with Pakistan in the past as well, continues well for the Country. It is now for Pakistan to do all can be done to help improve relations between S.Arabia, Iran and Turkey. Never forget that for all practical purpoese Afghanistan shoule be considered a brotherly country and see if peace can be resotred there. Goor relations among these countries will help the entire Muslim World. Hopefully this will lead to better relation with other countries as well. Long Live Pakistan Iran Zindabad. Iran love Pakistan. Iran first country recognize Pakistan. Great to see this from our neighbour... Now we need to respect their events as well. Pay respect earn respect! The neighbouring countries to Pakistan should get together and revive the RCD programme and help each other for humanitarian causes and in times of joy as well. A nice gesture. Hope they along with Saudi Arabia would cooperate with us in resolving their dispute rather than making us choose sides. Nice to see Kashmir as part of Pakistan in the maps depicted on the billboards !!! Iran rejects India and chooses Pakistan. Imran Khan can become the new face of these Asian nations uniting them all. Turkey, Iran, Iraq, Afghanistan, China and maybe even Russia. Saudia has sold its soul to USA and India is not going to be our friend. Other than these 2, IK should be able to unite the rest. The RCD highway, Pakistan, Iran, and Turkey is the road for prosperity and growth in the region. Let's revive it! Persia is the pride of muslims. Love and thanks to Iranian People! !.